We only stayed a few days and I loved that we could do that. Sometimes you don't have the time/opportunity to stay an entire week. The staff was friendly and efficient. Check-in was a breeze, no pun intended. 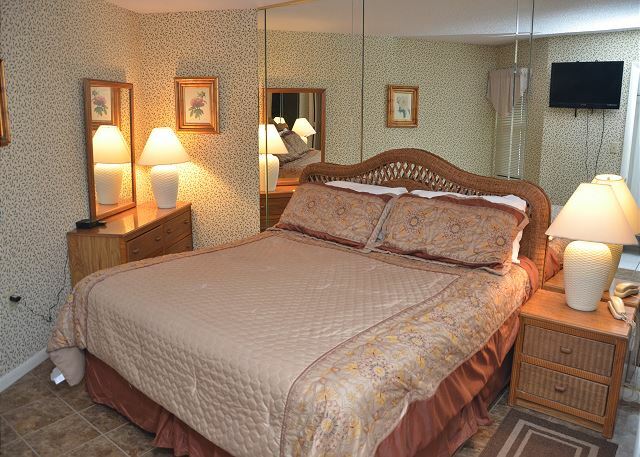 This condo had a king bed (We always rent king bed units) and it was the most comfortable bed, great night's sleep. Made the bedroom a little tight but that was ok. The unit was clean. 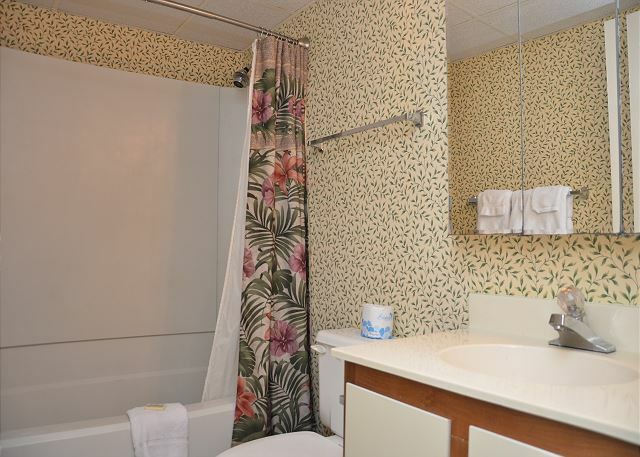 Great that the second bathroom had a shower (sometimes you only get a bath and a half). The kitchen/livingroom area was very spacious for a one bedroom. The deck, also, was spacious for a one bedroom. Plenty of deck furniture. The unit itself was quiet. The only complaint we would have this trip was the fireworks that were being let off near our building (at high tide. Really? C'mon people.). Debris was flying onto our deck. Garden City really needs to enforce its ordinances. We ate at the Conch twice. It's within walking distance, food and drink very good. Bubbas Fish Shack short drive away, good eats and reasonably priced. The bar in the building was so nice to have available. Check hours for your trip. In general, this was a very nice place to stay.We would have given it an excellent with tall deck chairs and a larger TV. We have rented many units and houses over the years and the only trend I see over other places we have traveled is that many Myrtle units/homes do not update often enough (some we've stayed it's been decades). 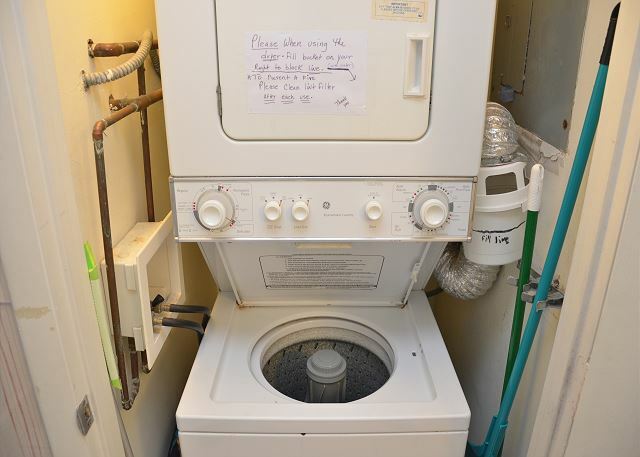 Though we found this unit to be bright, clean and comfortable, it could use some updating. Beautiful vacation spot! Condo was very clean! 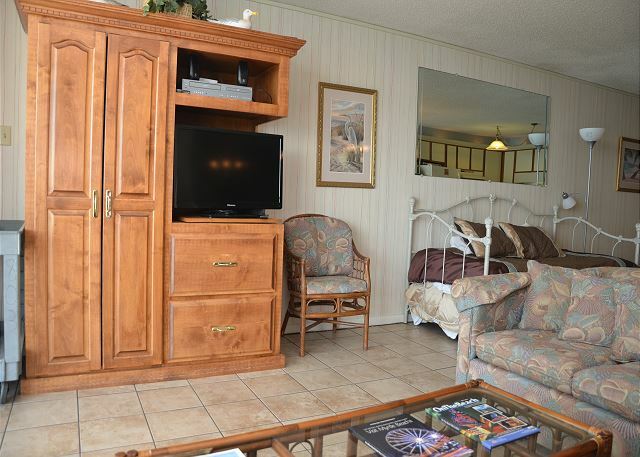 We were very pleased with our stay and loved that the realty group was on the site of the condos. Very clean and well kept! 8th floor view right on the ocean! 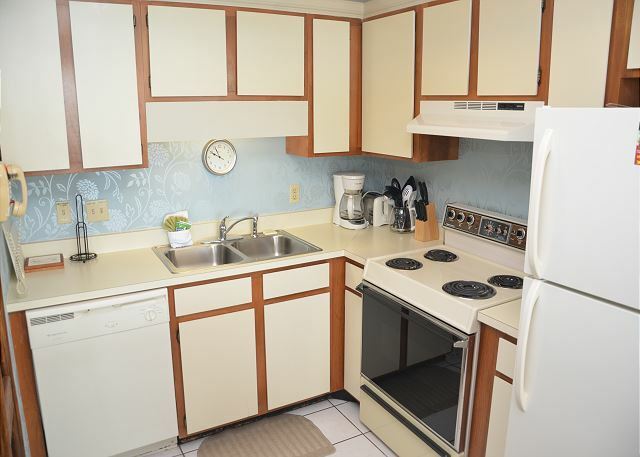 The condo was clean and the kitchen was adequately equipped. The desk manager was very friendly as well as other work staff and vacationers. This was my 3rd time staying at Royal Garden and I will certainly be back again. 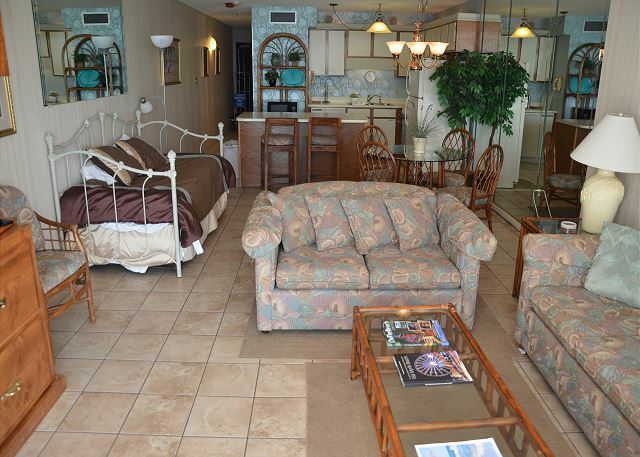 I would highly recommend Royal Garden to anyone wanting a location on the beach but away from the downtown crowd. I shopped at Pawleys Island Hammock shops as well as Broadway at the beach. Both are just a short drive away. Murrells Inlet is a short drive to numerous fine restaurants. This trip I had dinner at Lee’s Inlet Kitchen and enjoyed their famous She Crab soup and a platter of fried creek shrimp, flounder and deviled crab. That meal was so good I went back for shrimp creole. It was very delicious. The early bird specials are less expensive and the service was fast and friendly. Garden City has several grocery stores that are very close by. We felt like we were at home!!!! Enjoyed!!!!!!!! Great condo. Very clean with everything we needed for a long weekend. We would stay there again! Thank Mrs. Hagood for the review. 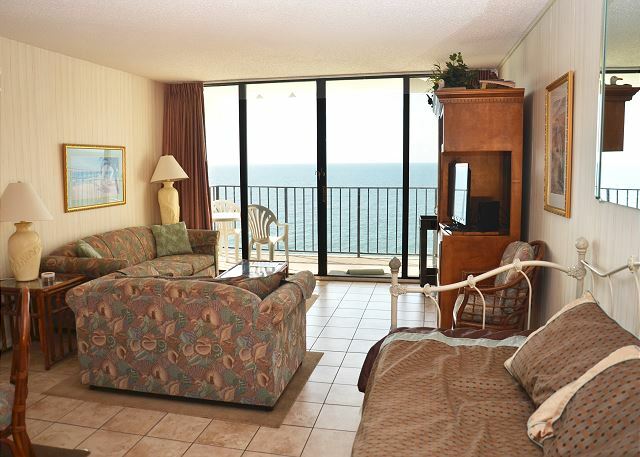 We look forward to your reutrn stay if their is anything Sea Breeze Realty can help you with please let us know. 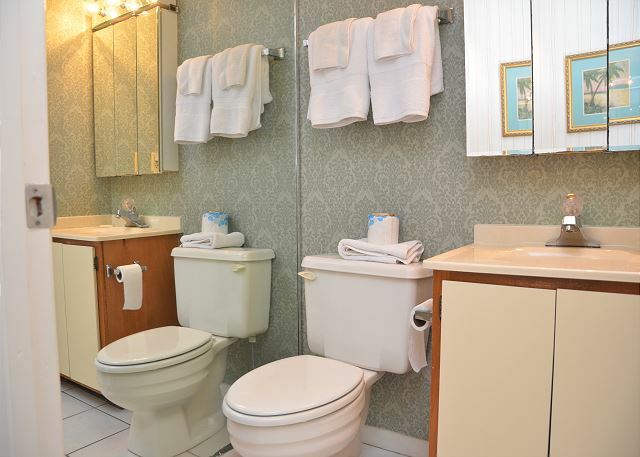 Overall the property was fine, I would highly recommend any of the condo rentals in the Royal Garden. Just a couple of maintenance items, the master bedroom shower curtain rack was loose and in danger of falling down. I noticed a small drip in the kitchen sink and another from the sealing over the toilet in the guest bathroom. Small maintenance items, not a big deal. Also, I was disappointed that the Sand Bar was not open for the season. Very inconvenient if you don't feel like running out to get a quick burger . Otherwise, very satisfied ! It was our second time staying at Royal Garden Resort but first time renting our own place. 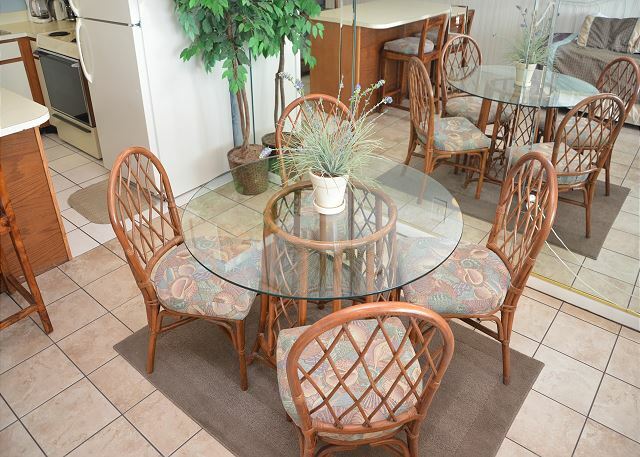 We were impressed that the condo was so clean and well maintained. The photos were accurate. The convenience of checking in late through the security office was wonderful. We plan on returning again next year. There were 5 couples this year and hope to increase that number next year. Excellent. 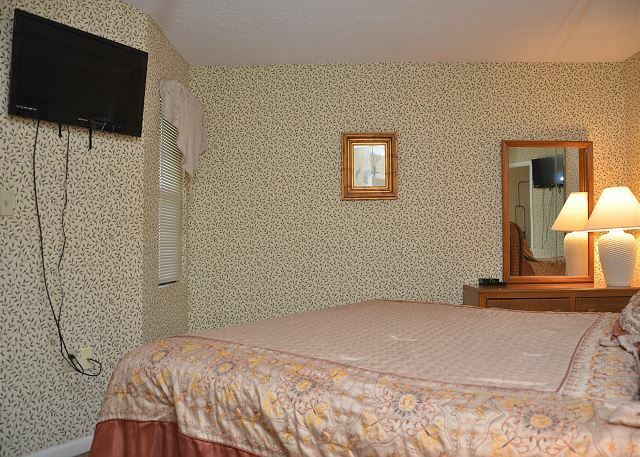 The rooms was very clean which is very important to us. The view is great too. Will stay again. This was our first time staying here and our first time staying in Garden City. We absolutely loved it and will be back! 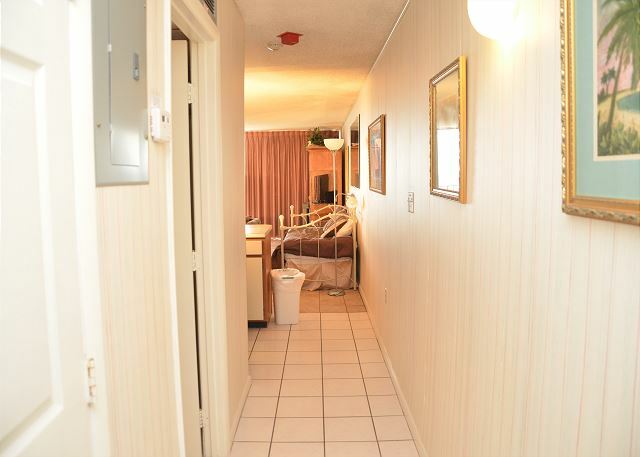 We were very pleased with the staff and the conditions of our condo! The condo was beautiful and very clean. The pictures online gave us the exact idea of what to expect! 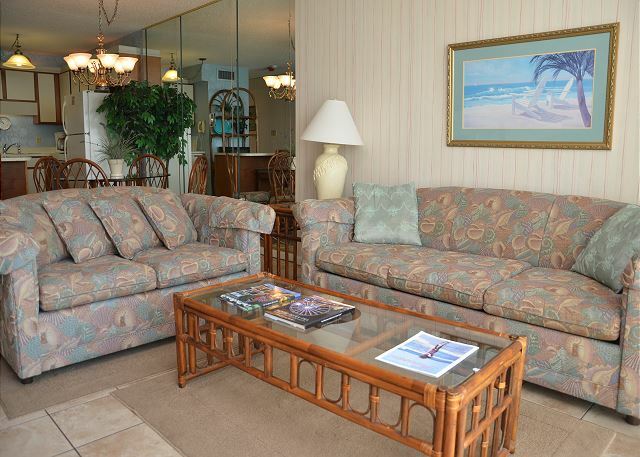 We highly recommend renting through Sea Breeze realty and staying at Royal Garden Resort!